Join us for the National Floriculture Forum meeting! The National Floriculture Forum (NFF)will meet from February 16-17, 2019, in Chicago, Illinois. The NFF continues an annual tradition dating back to the early 1990s, with an educational meeting for industry leaders, university faculty, graduate students and government scientists from academic institutions, governmental agencies and the greenhouse industry. Registration for the NFF is only $150, thanks to financial support from the American Floral Endowment. This fee includes the tour to the Chicago Botanic Garden, including bus transportation on Saturday morning, lunch and dinner on Saturday, and refreshments at breaks. To register for the Forum and arrange your hotel reservation, click on the here. Our host hotel is the Crowne Plaza O’Hare Hotel and Conference Center in Rosemont, IL, and the hotel will provide free shuttle transportation but only from and back to O’Hare International Airport. (Attendees may fly through Chicago’s Midway Airport, but transportation to the hotel will be on your own and could be quite expensive.) The complimentary hotel shuttle from and back to O’Hare International Airport, guest room Wi-Fi, and breakfast are included in the $119 per night (plus tax) hotel rate (tax is currently 14% but is subject to change). Parking is extra. Registration for this discounted hotel rate is due by January 15; hotel guest rooms are limited. We hope to see you there! For specific questions, contact the 2019 event organizer, Dr. Marvin Miller of Ball Horticultural Company at mnmiller@ballhort.com. 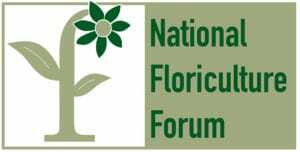 AFE is pleased to host the National Floriculture Forum on our website.